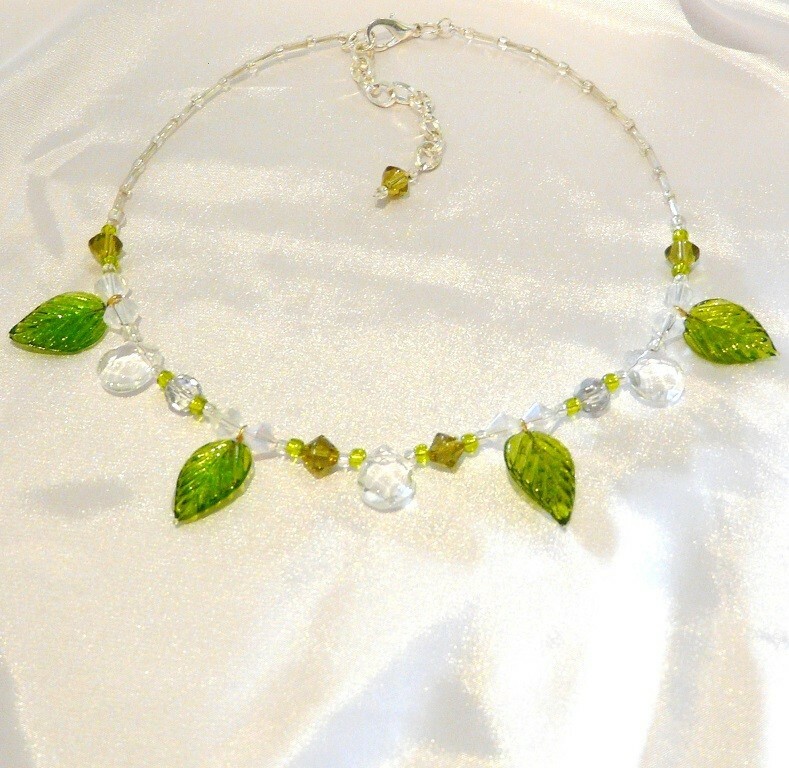 Crystal Necklace with decorative Glass Leaves. This Crystal Leaf Necklace is very delicate, the leaves give the necklace a mythological look to it. It is a popular Costume Jewelry Necklace to wear and suitable for all occasions. We have supplied this necklace in a smaller size on request for flower girls at weddings. Please email us for any inquiries for our Flower Girl Jewelry.